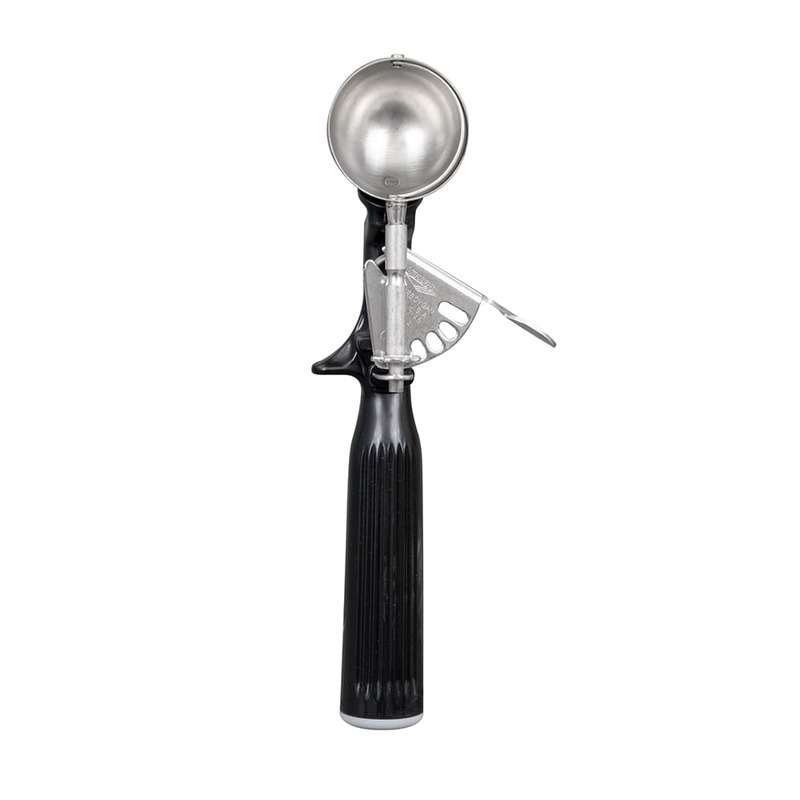 Designed to provide exact portions, the Vollrath 47146 disher has a 1-ounce capacity. The black handle material denotes size 30. Constructed of one piece of plastic, the handle is durable and does not have crevices that could trap particles. The bowl is made of stainless steel, so it resists rusting and bending. The blade will not get stuck in the bowl since it extends out past the rim. This Vollrath 47146 disher is safe in the dishwasher. Take a look at the disher explainer article to read more about these utensils.